I'm so sorry for my long blogging absence! I am excited to be back and I have so many fun things I want to share with y'all! I hope you will start reading again! These little beauties came from a day when I wanted to bake but was out of flour to make anything from scratch. Luckily I had a cake mix on hand and found this great recipe with cake mix and no flour. My husband gobbled these up and I gave a bunch away to friends and he was very disappointed to see these go! 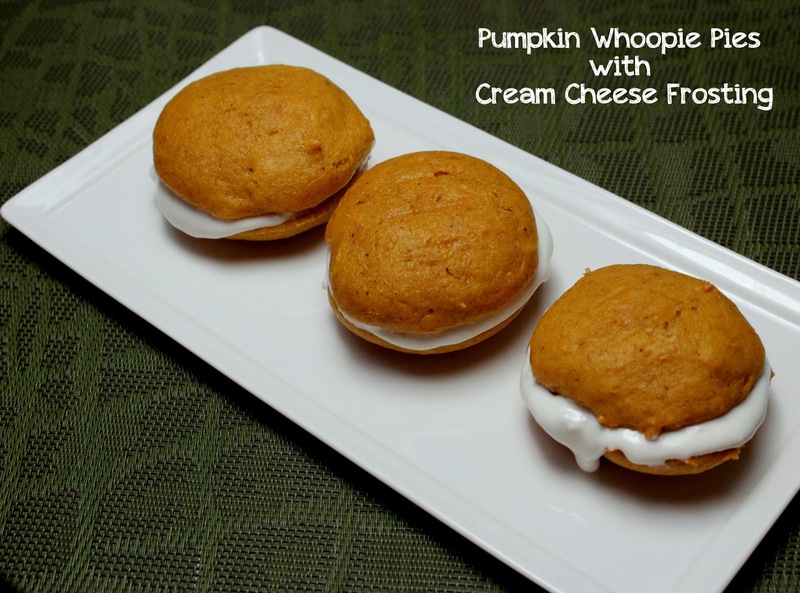 They are a perfect for a fall or winter treat! Go make these as a little Christmas treat-you won't regret it! Beat first 7 ingredients with mixer until well blended. Scoop into small mounds (I used a medium sized cookie scoop of about 2 tablespoons batter), 3 inches apart, on baking sheet sprayed with cooking spray or on a Silpat. Bake 12 to 14 min. or until toothpick inserted in centers comes out clean. Cool on baking sheet 2 min. Remove to wire racks; cool completely. Beat cream cheese, marshmallow cream, ginger and cinnamon in large bowl with mixer until well blended. Whisk in Cool Whip. Spread 3 Tbsp. onto flat side of 1 cake; top with second cake, flat-side down. Roll edge in sprinkles, if desired. Repeat with remaining cakes. Keep refrigerated.